"I think I'll try ice skating." The boy is 10 and the girl is 7. At this stage, they are more curious and more open to try new things. As coach Pia Acevedo advised, we have to let the child explore their talents before they reach high school. Since summer season is about to start, it's time to map out how the kids can have a meaningful vacation time. 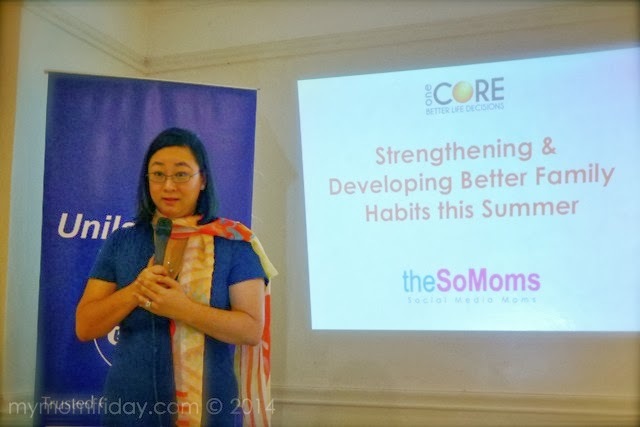 Let me first thank Unilab, one of the country's top healthcare companies, for making this #BetterMe session possible for us, with the expertise of coach Pia Acevedo of The One Core, and Dad's World Buffets in Megamall for providing the venue and sumptuous lunch for everyone. 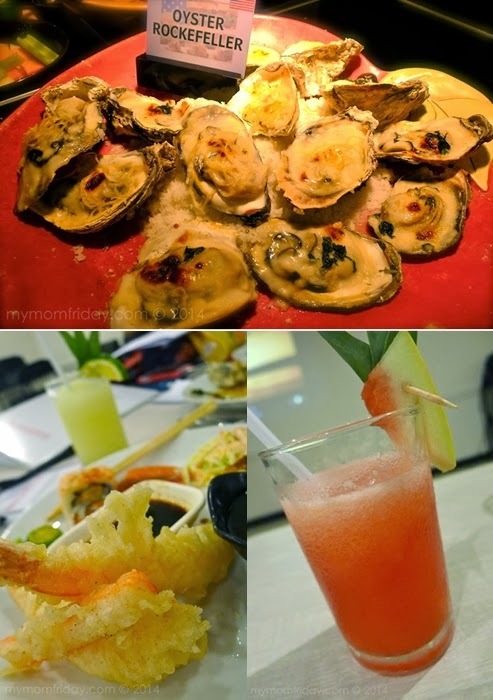 More on what we ate at the end of this post. 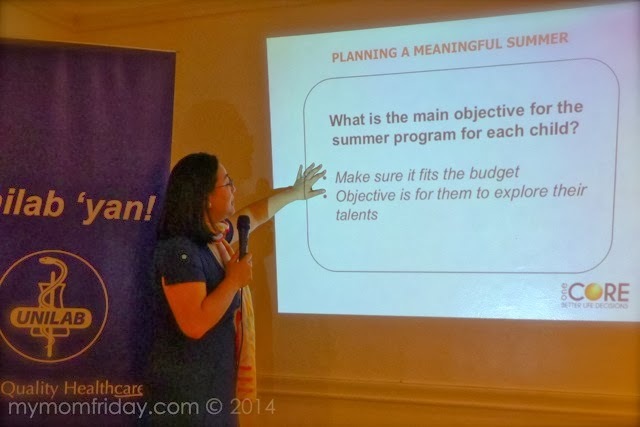 Here's a simple guide based on what coach Pia has outlined for us moms to help plan a meaningful summer. The key word here is "explore". Present general categories or fields and ask what he likes to explore - i.e. sports, arts, theater, music, etc. What do you think you would feel if....? What do you guess it might be like? What would you do if ___ happened? When enrolling children, coach Pia added that families should try not to put siblings or cousins in the same class to avoid rivalry. After this session, it's clearer to me that I need to allow the kids to explore their interests and involve them with the plans for this summer. We just have to narrow down our choices and plan a manageable schedule for the family since everyone will be involved. Of course, summer is not about having a full schedule of classes for my kids. I want their summer vacation to feel like a vacation and not an extension of their school year. More family time, more me time (for themselves), and more recreational activities. That is why I am personally against putting my kids in academic programs during summer. I also don't want to over book my kids and burn them out with a hectic week. One or two programs/courses would be enough. That's just me. 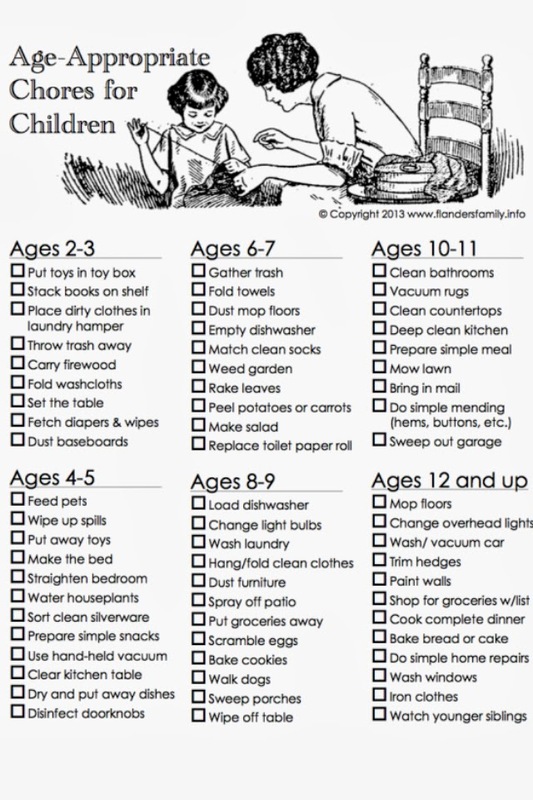 Some kids seek and enjoy numerous daily activities planned out by their parents, so good for them. I consider myself fortunate to be a stay-at-home-mom, so during the break we're good with a twice- or thrice-weekly classes, and they stay home the rest of the week helping with the chores, playing outdoors, or just bum around with me, heeheehee... :) I think it's actually a good thing - for kids to bum around and do nothing for a day, or to do whatever. I look at it as their day-off, to recharge and relax. Kids need their down time too. If I had my way, and have enough resources, we'll plan lots of field trips during the break. As I've mentioned, this parenting session with coach Pia was generously sponsored by one of the trusted medicine brands, Unilab, who advocates family health and wellness. 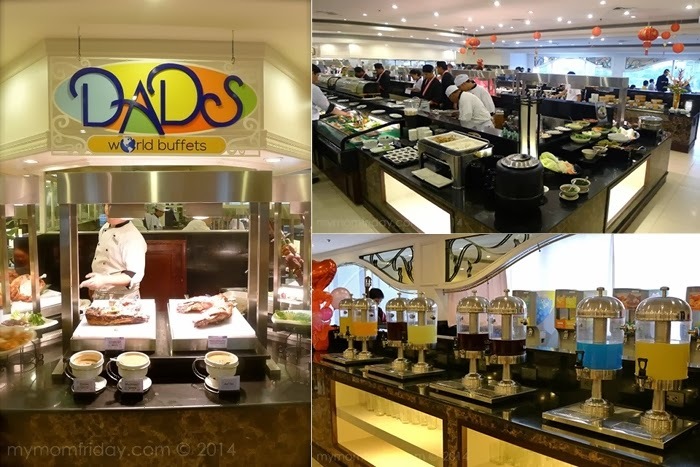 And there's Dad's World Buffets, a favorite place for celebrations, with a buffet of delicious continental cuisines. They now offer more food choices since I last dined there. 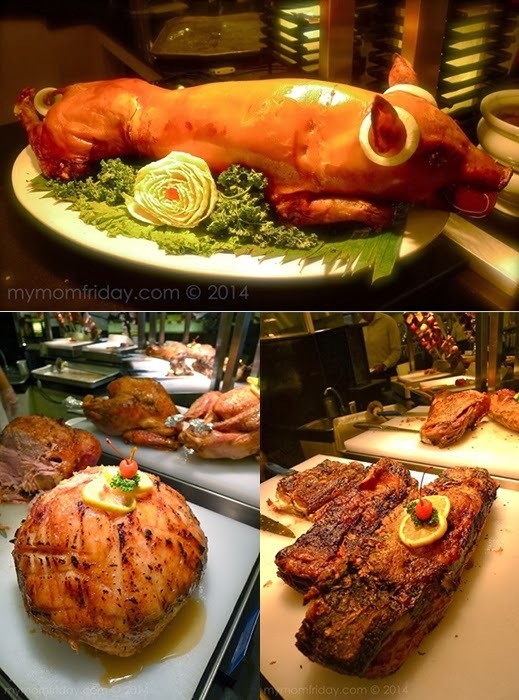 Whether for lunch or dinner, you can now delight you palate with their lechon and carving stations, oyster bar, Brazilian churrasco, Chinese dimsum, and bottomless fruit juices, among other favorites. Look at some of the offerings during our lunch session. Foodgasm!!! As with all our past sessions, I've learned so much from this one, and I hope you did too. 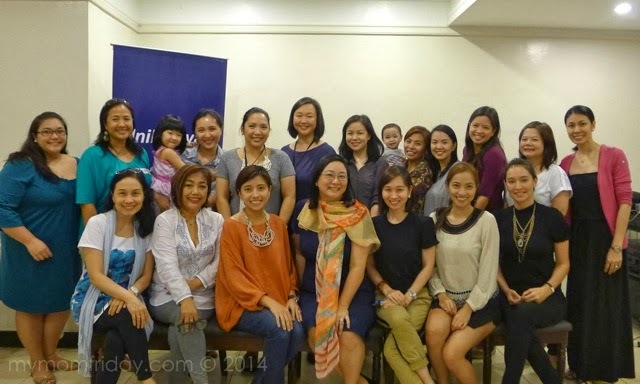 :) This SoMoms #BetterMe session in planning a meaningful summer is so timely and relevant. Hopefully, I can help my kids explore and decide on what they like to do, and apply these tips while we carefully plan on how we are going to spend our summers.